My class finals are over and I’m free for the summer. I took two college courses this semester and it kept me really busy. I just completed my last final for the semester last night. Yippee! I can feel the elation of this little doggy at the neighborhood dog park sign. Have a good week everyone. This is great! Love the glow of the PARK sign. 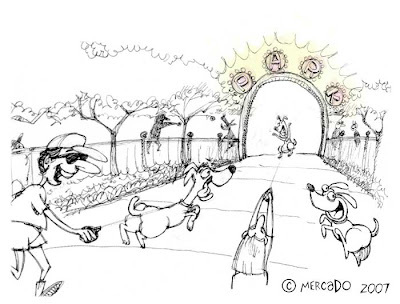 Fun illusttration – particularly like the dog on the right.